Blue Lake Ranch has 6 reasons you should visit Durango during the spring. 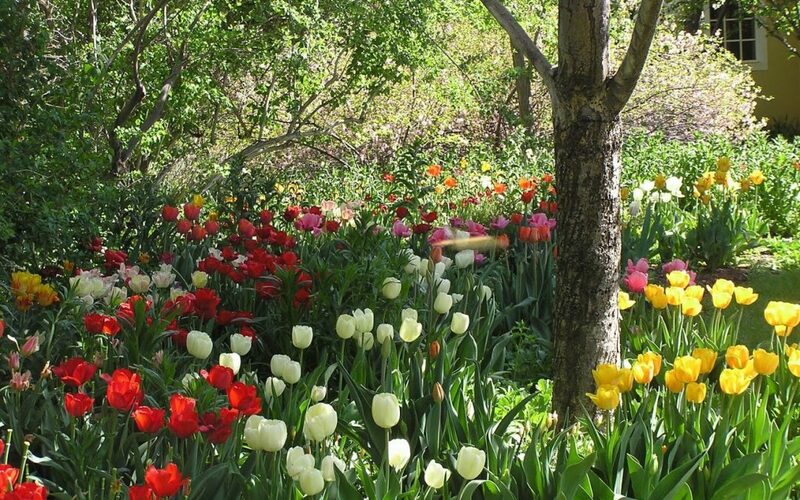 There is no doubt that spring is a wonderful season in Colorado. Spring break is the perfect time to enjoy the overlapping of two beautiful Colorado seasons, especially in Durango. This time of year, the beauty and excitement of winter is still very much alive in the mountains, while signs of spring are starting to blossom before our eyes. Here are some of the best activities Colorado has to offer. Check out these 5 reasons you should visit Durango in the spring. This time of the year, the weather in Colorado is awesome! Cold winter temperatures are giving way to warmer spring days. With high temperatures typically between 50 and 60 degrees, spring is perfect in Durango. Even today as we write this post, temperatures are forecasted to be in the low 60’s and full of sunshine! Spring is a great time to spend on the slopes in Colorado. Mountain snow conditions have been epic this year. The nearby Hesperus Ski Area, just 7 minutes from Blue Lake Ranch, and Purgatory Resort have even extended their ski/snowboarding/tubing season because conditions are so good. What a way to celebrate spring and enjoy a Colorado scenic trail! The 25th annual Durango Bluegrass Meltdown on April 12, 13, and 14th, 2019 is a fun way to kiss the winter blues goodbye. This annual event draws people from all over the country and features nationally recognized musicians as well as local up and coming bands. The Durango Bluegrass Meltdown is a “must” when visiting the town of Durango. Spring in Durango means skiing one day and hiking the next. The hikes and bike rides in the area are incredible. Hikers can easily find themselves taking in the beauty of the San Juan Mountains on the thousands of hiking trails available. Bikers: there are over 2,000 miles of Durango bike trails. What a great way to get revved up again for some favorite outdoor activities. Durango is the perfect place for anyone from families to extreme outdoor enthusiasts! It’s Easter! Guests at Blue Lake Ranch will be invited to our Ranch’s Annual Easter Egg Hunt, where both children and can adults participate in the hunt and enjoy a stay at Blue Lake Ranch. One of the special prizes this year is a complimentary future stay at Blue Lake Ranch. The Easter Egg Hunt will be after breakfast on Sunday, April 21st, 2019. Please join us for some fun! The Durango and Silverton Narrow Gauge Railroad is offering 26 mile spring train ride excursions to Cascade Canyon this spring. The train leaves at 9:45 am and returns at 2:45 pm, making this a unique, and memorable trip for the whole family. On Saturday April 20th there will be a special Hops and Hops Easter Train Excursion to Cascade Canyon. Each child will receive their very own Easter Basket, and the children will be greeted by the Easter Bunny at Cascade Canyon. Durango is home to unique boutiques, art galleries, specialty stores, outdoor markets and natural product shops. For the shopper, visiting Downtown Durango is an experience not to be missed. Downtown Durango is also a nationally registered historic district, so history lovers rejoice. Experience a part of the Old West when settlers came to the area in search of gold, silver and copper. Satisfy your taste buds with delicious food from a number of excellent restaurants in town. Experience local food ranging from meat and cheese to fresh produce from local farms. Even your pet can enjoy the excellent ambiance found at Durango eateries. And since Colorado loves breweries, Durango is sure to quench your thirst with some of the best breweries in the area. The month of February is all about love. As people have gotten engaged over the holidays and maybe even Valentine’s Day, we know that lots of couples have some amazing weddings to plan. Blue Lake Ranch knows weddings! We also love weddings and couldn’t be more delighted when we are lucky enough to host such an special event. Our Inn, coupled with the Ridgewood Event Center, makes a beautiful day marked with love even better. Nestled on 200 acres of secluded southwest Colorado land, the scenery at Blue Lake Ranch is breathtaking and makes an amazing backdrop for your special day. Meandering meadows, lush gardens and the sound of a trickling stream amongst the gorgeous La Plata Mountains makes Blue Lake Ranch a spectacular location for everyday life, let alone a wedding. We offer 16 unique and luxurious accommodation options to suit you and your guests. Counted among the top Inns by Country Inns, Conde Nast Traveler, Select Registry, and Travel + Leisure, Blue Lake Ranch is a quiet getaway for sophisticated and casual travelers alike. Famous for warm and inviting hospitality, luxurious accommodations, and sumptuous Southwest inspired breakfast buffet, the ranch offers an unparalleled year-round destination and makes your wedding destination one that everyone will remember for years to come. Together with the Ridgewood Event Center, Blue Lake Ranch is proud to support amazing experiences for couples on their wedding day. An incredible lodging experience to pair with your incredible wedding and reception couldn’t be any more unique while still very convenient. Ridgewood’s grounds and gardens at the event center share the same beauty as the inn and are equally amazing any time of the year. And since we’ve held over 1,000 weddings over the years, we know a thing or two about weddings. We love to help make them perfect for every couple. Since no two weddings are alike, the property is equipped with so many sites available for you to choose from to hold your special ceremony. Enjoy a cozy indoor and porch arrangement. Take in the spectacular views of the mountains from any of the outdoor areas. You can even hold your ceremony at an enchanting riverside spot complete with hand-hewn seating for attendees. It’s a short stroll down a winding trail from the Event Center. Then there is the Circle of Trees, where you can hold your ceremony under the largest cottonwood trees in Colorado. You will find the perfect location for your wedding right here on our beautiful Colorado property. Planning your wedding can be a pleasure when you have partnered with the right experts. And with Blue Lake Ranch Bed & Breakfast Inn and Ridgewood Event Center as your wedding planning partners, you will not only be making memories on your wedding day, but will from the very start. We invite you to learn more about having your wedding at the beautiful Blue Lake Ranch and Ridgewood Event Center. Happy New Year and welcome to 2017! New year, new you. This is the time of year where we all stop and reflect on how to improve ourselves and make our lives more whole. New goals are set and resolutions are detailed with the best of intentions. When it comes to New Year’s resolutions, achieving them can be tough. This year, why not set resolutions that you can actually achieve? And we’ve got a good one for you: travel. A resolution to travel more in 2017 will not only take you away from overwhelming day to day tasks, but may even help you check off a few other resolutions on your list. 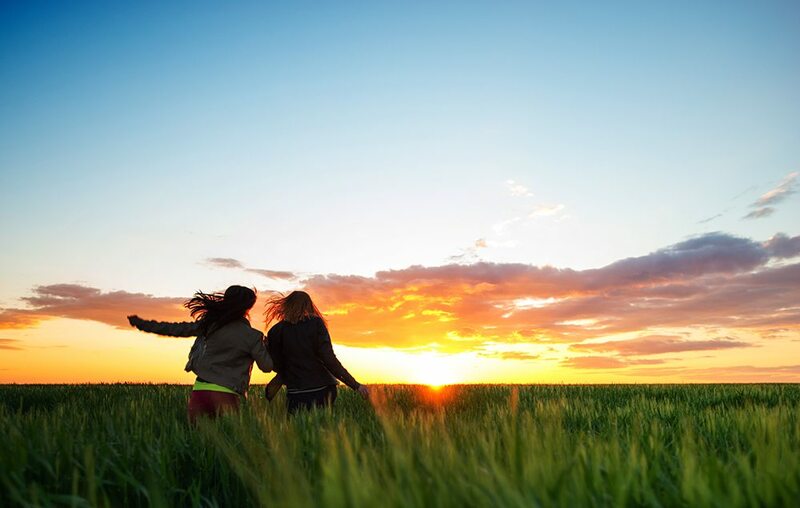 Travel allows you to experience new people and places, new adventures and more quality time with family and friends. Start with a visit to the Durango area for a getaway to set the tone for the rest of the year. There isn’t a bad time of year to visit Durango and surrounding areas. Winter, spring, summer or fall, Durango offers stunning Colorado beauty that is hard to beat. And the activities are plentiful any time of the year. Even the winter months can provide a getaway like no other. When you visit Durango, you’ll experience an Old West town, cultural and heritage experiences, live music, festivals and of course the great outdoors. January is an excellent time to take your Durango getaway. For the outdoor enthusiast, you’ll enjoy incredible skiing at Purgatory Resort. But winter recreation goes well beyond downhill skiing. Enjoy x-country skiing, sledding, snow tubing, snowshoeing, ice climbing, snowmobiling, winter train excursions, sleigh rides and even dog sledding. With so many winter activities, your itinerary can easily be action packed. For those who maybe need some downtime and a little less action, visit the local hot springs for an awesome soak. What a way to start off the New Year! Durango is also close proximity to many national parks and monuments. Visit Mesa Verde National Park or the Four Corners Monument for some excellent history lessons. Hovenweep National Monument, Chimney Rock and Chaco Canyon are also amazing places to include on your itinerary. A visit to Durango is a blast from the past. A Nationally Registered Historic District, Durango is full of incredible Southwest and Old West history in one place, award-winning restaurants, brew-pubs, shopping, art and museums galore. An excellent place to escape the daily grind, Durango allows its visitors to experience just about anything. Plan your trip today and pack it full of as much outdoor recreation and adventure as you’d like; or as much arts and culture as you’d like. Do as much or as little as you would like on your getaway. That’s the beauty of Durango – from action and adventure to arts and culture – Durango is the perfect place to kick off your New Year’s resolution of travel in an unbeatable setting. This fast-paced and high tech world is pretty great. Despite this greatness, it can sometimes be overwhelming. Technology has helped us connect with more people than ever before. It has made our everyday lives increasingly efficient. From vacuums that operate themselves to TV’s that connect to the internet. Digital technology can be pretty cool. Engaging with people on social networks, video chats and having the latest, up to the minute news and information at our fingertips has become the norm. While you can’t debate the wonderful benefits that have come from this technology revolution, there can also be quite a few drawbacks. Just as you would take a vacation for a break from everyday stressors, a digital detox getaway every now and then is helpful to keep yourself from feeling too drained by the endless flow of digital demands. Being connected 24/7 with all of our smartphones, tablets, computers and even video games can take a toll on a person. The buzz of notifications from this or that social network, and apps that push the latest and greatest deal or hot must have item is enough to make anyone feel weary. Or, just having your smartphone perpetually chiming from an eternal flow of emails from work, voicemails and even text messages can make your head spin. If you’ve got this going on during your vacation, you’ll never fully recharge yourself and be ready to take on the world upon returning. It may be time for you and your family to embark on a digital detox getaway. Nestled in the beautiful mountain valleys just outside of Durango, Blue Lake Ranch is a wonderful place to indulge on a digital detox getaway. With 200 secluded acres to enjoy, guests at Blue Lake Ranch have no trouble unplugging and revitalizing for a couple of days. How could you not feel completely refreshed after staying in the inspiring shadow of the La Plata Mountains? The natural surroundings of Blue Lake Ranch, snow covered valley, luxurious accommodations with private decks and the sound of a roaring fire instead of a ringing cell phone will feed a frayed soul. Outside of our beautiful property, Durango and the surrounding area offers many great activities that are perfect for those in need of a digital detox. For total relaxation, the Trimble Hot Springs will perfectly accent your stay at Blue Lake Ranch. Swim, soak and relax or indulge in spa services that are best enjoyed “unplugged.” Shopping in the Durango area will also soothe your soul. Forget the crowds while you peruse southwestern style shops in town. Experience art galleries full of southwestern beauty without ever having to respond to an email. You can experience digital detox at its finest in secluded southwestern Colorado. Literally feed your soul with incredible dining options in town as well as Blue Lake Ranch’s very own gourmet southwest inspired breakfast buffet. You’ll be tempted to post a photo of your meal on Instagram, but you’ll have to wait until your digital detox has ended. So go ahead. Ditch the digital for a while and switch those phones “Off”. Leave the laptop at home and keep the tablet in the car. 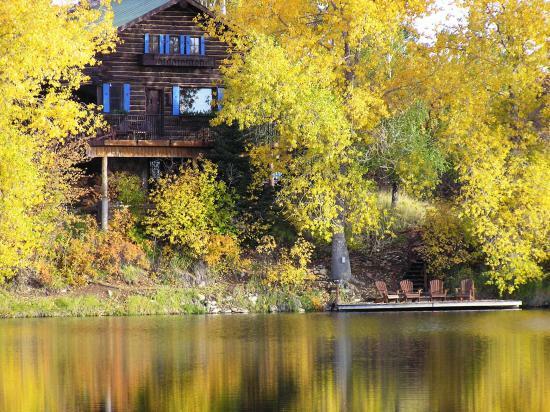 You will be plenty busy with a mental recharge in southern Colorado at Blue Lake Ranch. What are you waiting for? Plan your digital detox getaway now. Fall in Durango, Colorado is an amazing time of year. Some even say that fall is the best time of year. While each season offers incredible beauty, we absolutely love welcoming autumn with its beautiful vibrant colors that temporarily carpet this amazing state. The changing leaves may have already peaked for the season but here in the mountains, there is still time to enjoy the season’s changes and see the beauty of it all before Old Man Winter arrives. Now is the perfect time to plan your getaway to Durango. Grab the family and hop in the car. Cruise the mountain roads and immerse yourself in the fading signs of fall’s vibrant yellows, reds and oranges from the Oak Brush, Aspens and Cottonwoods. There is never a bad time to take a trip to southern Colorado, but fall is a great time to visit. Aside from the gorgeous scenery of the San Juan National Forest, the Durango area offers tons of incredible hiking trails, historic train rides through the beautiful Colorado wilderness, fall festivals and pumpkin patch events and opportunities for amazing photography. With beautiful weather still in our reach, there isn’t a better time to stretch your legs and enjoy the great outdoors. Hiking or biking in southwestern Colorado during the fall is incredible. Check out some great trails here and get out there! After you have enjoyed the great outdoors, snuggle up and relax at our beautiful Blue Lake Ranch. 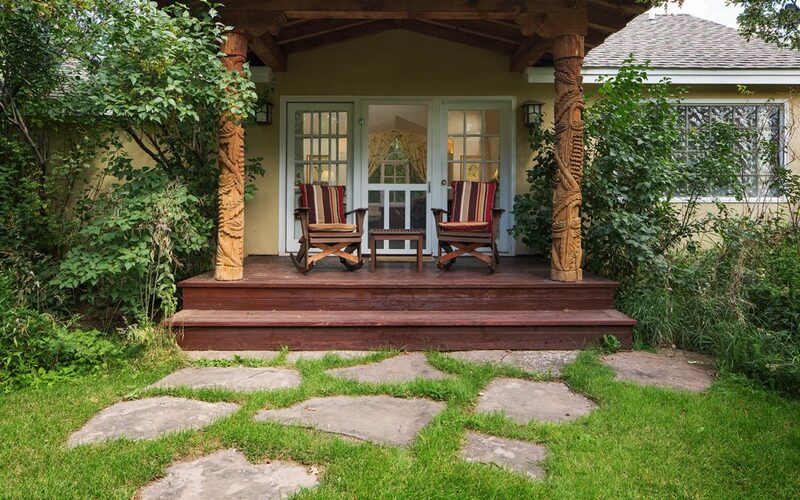 Our property is nestled on 200 secluded acres with breathtaking views of the La Plata Mountains, meandering meadows, lush gardens, and a private spring-fed trout filled lake. Blue Lake Ranch features 16 amazing accommodation options that will compliment your fall mountain getaway. Each room, suite, casita and cabin is individually decorated for elegance. There is nothing “cookie-cutter” or standard about Blue Lake Ranch. Enjoy the crisp fall air and gorgeous surroundings from your private deck and warm yourself in front of the cozy fireplace in your room. Don’t delay too long and miss out on some wonderful fall activities. Old Man Winter (whom we absolutely love) will be returning soon bringing with him some wonderfully different ways of enjoying the mountains. For now spend some quality time with your family and make this fall an extra special season this year. All of us here at Blue Lake Ranch are excited to host the Community Foundation’s 7th Annual Community Taste Dinner. Our Ridgewood Event Center is the perfect venue to showcase wonderful flavors from local businesses and the Community Foundation’s great cause. 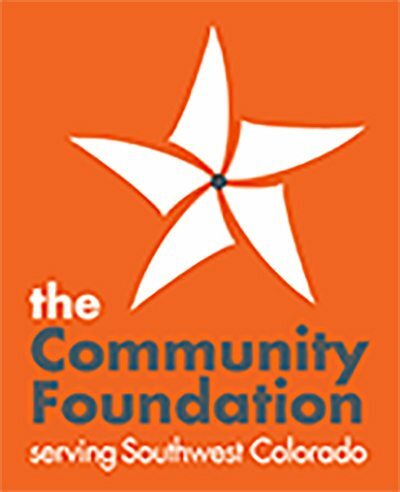 The Community Foundation is asking for your support to spread the culture of giving. You can help them share the message of successful philanthropy for individuals and non-profits just by attending their event. Proceeds from your ticket to the event will help fund community grants and scholarships. Working towards growth in the community is difficult to do alone. After traditional fundraising avenues became strained for various non-profits, non-profit professionals joined together to form an organization to manage and invest contributions effectively, ensuring that every dollar is spent as intended. Public support from the community is vital to the Community Foundation’s mission and thrives thanks to the help from individuals, corporations and other non-profits groups. Unlike other non-profit organizations, the Community Foundation doesn’t focus on just one small area for growth. The foundation is proud to help grow any area of interest. This in turn helps the community as a whole, rather than just one part of it. The foundation’s 7th annual community taste dinner will feature delicious local chef-prepared cuisine and complimentary beer and wine. Aside from the wonderful company of the other guests attending, the evening’s entertainment will be Tim Sullivan and The Narrow Gauge Band. And of course with live music, also comes the opportunity for an evening of dancing. Get your tickets for the Thursday, September 8th event. For just $70, you will enjoy a great evening at the beautiful Ridgewood Event Center. Have a good time for a great cause.